In this week’s episode we talk about the three core tenets of Jeet Kune Do: Simplicity, Directness, Freedom. Bruce Lee applied these tenets to martial arts, but also to everyday life. Shannon shares the story of the pivotal fight that led Bruce Lee to develop his own martial arts philosophy and way: Jeet Kune Do. Essentially: Taking what is useful and rejecting what is useless. You have to know the rules to rewrite the rules. The problem is never apart from the solution, the solution is within the problem, if you’re willing to confront and face the problem. If we, in our own lives, start to hack away at the unnecessary, take out everything we don’t need or that we thought we needed but don’t, that will give us the space to explore what it’s like to be free from ego, free from form, free to express our true selves. The mark of genius is to see and express what is simple, simply. True freedom relies on the balance of structure and formlessness. What you can do to practice this philosophy: Look around your own life and ask how can I be more direct? How can I simplify? What can I let go of? What is cluttering up my life right now? Pick a space (physical space or they way we do something) and ask what is the most useful part of this? And strip away the useless. 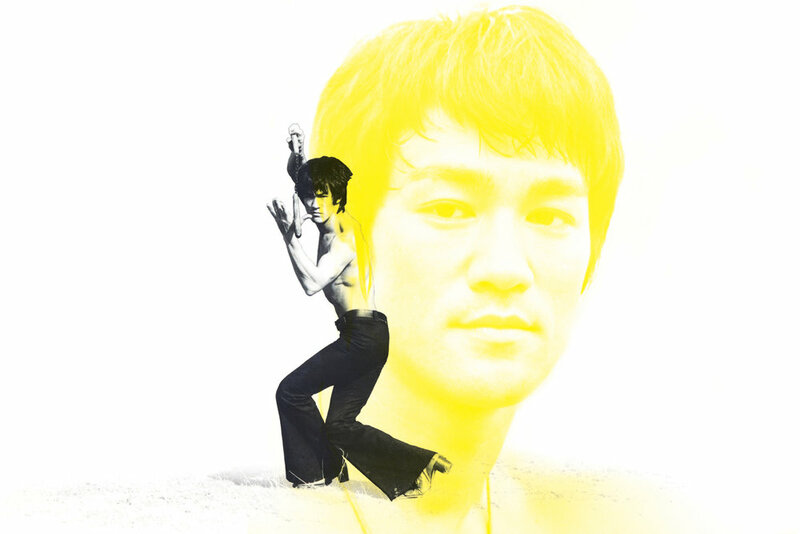 Jake Shimabukuro is also this week’s #BruceLeeMoment! “With Bruce Lee, I was really into his philosophy and the way he approached martial arts. All this mixed martial arts that you see now, that was his concept decades before. I kind of wanted to take that mindset of a mixed martial artist and bring it to music. Like being an MMA musician in a way where you learn to appreciate all different styles of music.